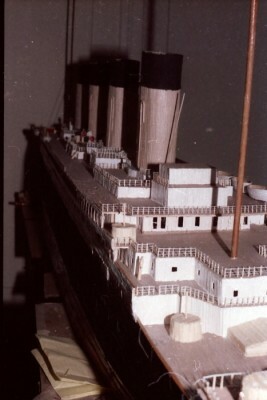 This photo shows the stern section at the after well deck. 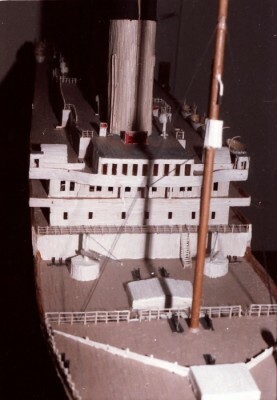 Note the circles drawn on the welll deck to indicate where the crains will go. 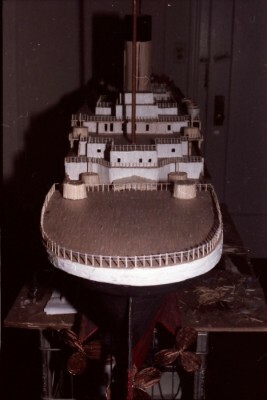 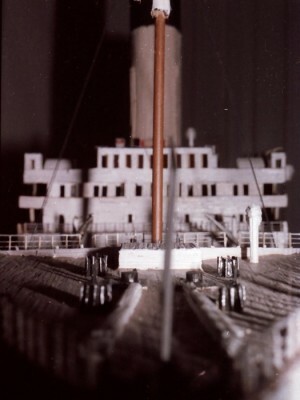 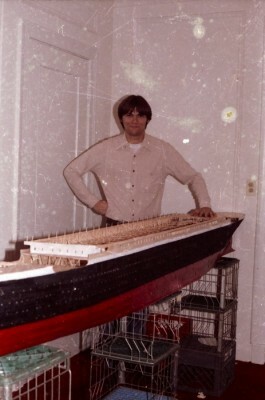 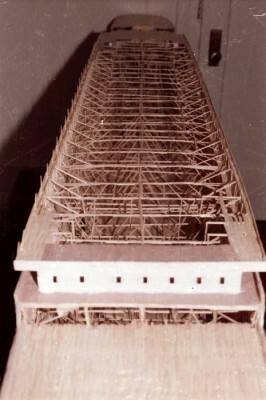 You can also see that despite the paint job, this ship is made of toothpicks!